We Are on Our Way to New Zealand! 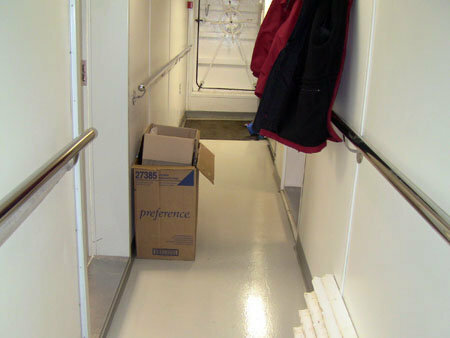 Scientists are scurrying all over the ship today, packing up samples and equipment, as we make our way to land. The very rough sea is making it quite difficult to walk around or even stand, for that matter, and continue doing what chores need to be finished. We have a very strong head wind which is slowing us down. Today is tee-shirt day. We had a logo contest for the expedition and it was won by Christopher Smith-Duque, a petrologist on board. Later today, we will iron the logo on tee-shirts to commemorate Expedition 329. I held several early morning videoconferences with schools today, giving students the opportunity to see the ship and ask questions.